Clive Thompson LRPS Photography: Union Hotel (later Union Inn) King Street, Tavistock PL19 0DS around 1974. Union Hotel (later Union Inn) King Street, Tavistock PL19 0DS around 1974. 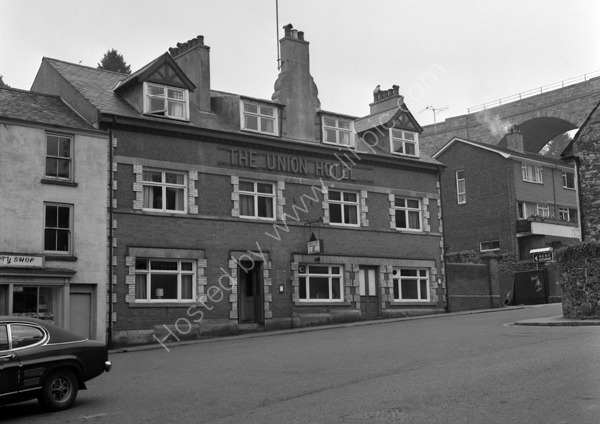 The Union Hotel (later the Union Inn) in 12 King Street, Tavistock, Devon Pl19 0DS around 1974. For commercial use of this photograph please visit www.alamy.com and search for AD0X3D but for a one off print, please see below.